Dear friends your comments and concerns are important to me, and I want to make sure my Blog provides you with the best possible online experience. I read each message carefully, and I do my best to respond to every queries. 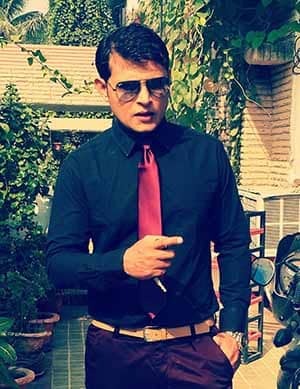 I am Manish Yadav founder of https://lovefindsitsway.com and I am very grateful to all those who has visited my blog for spreading love and happiness to make this world a better place to live. As I said above if you wish to share anything about your life issues, I will be more than glad to hear it from you. If you have any queries shoot me a mail directly at lovefindsitsway123@gmail.com or use the contact form below. Do you want to say "Hello”? Do you find it hard staying motivated in life? Guys I would love to know you guide you and also learn something from you in the process. Feel free to share your problems I am just like one of you we can be great companions believe me! All you need to do is fill this contact form below and I will respond in less than 24 hours. Follow me on your favorite social media below.